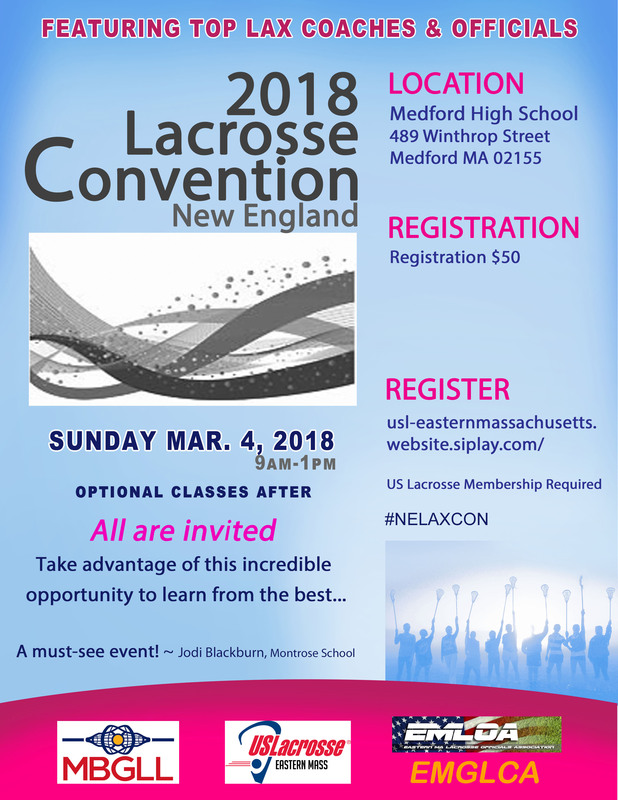 The 2018 New England Lacrosse Convention is scheduled for March 4, 2018 at Medford High School. More details to follow. Below, please watch the video from last year's convention. Please know that this year the convention will include girls' youth and high school coaches and the men's umpire association. All coaches and officials are invited to attend.